Aurangabad is an active city connected well with the state capital Mumbai (Bombay) and the city of Pune (Poona) by road and rail links. It is also connected by air to various destinations around the country including Mumbai and New Delhi. 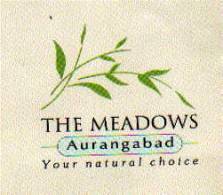 The town is named after the last Mogul Emporer Aurangzeb (1659-1707 AD). The original name of this town was Khadki (rocky place). It was later renamed Fateh Nagar. Aurangzeb made it his capital while he was able to rule the Deccan. Today, it is a part of the State of Maharashtra and lies in the Marathwada region. Aurangabad has several popular attractions among them the BIBI-KA-MAQBARA and the PAAN-CHAKKI (water mill). In a substantially arid region of the State, this mill has a water source in the hills about six kilometers away. The source provides water to the mill almost all year round and is used to drive the grinding wheels which produced flour for the residents of the Madrasa meaning seminary or religious university where the mill is located. The Madrasa was built by a Sufi saint Baba Shah Muzzafar in 1624. The saint was the spiritual gaurdian of Emporer Aurangzeb. His grave lies within the compund. The gardens are well maintained and the tea shops provide a mean sweet creamy tea locally known as special chai! Aurangabad is also popular for its HIMROO. A typical fabric of this region, with an intricate pattern woven in cotton and silk used to make bed covers, tapestry and other items. Marco Polo was given this fabric woven in silk and gold thread and is said to have had substantial praise for it. The original artists who put this fabric together have all but disappeared and the fabric is now mass produced. There is however, one family in the inner city that produces it the old fashioned way: using the hand loom. The name for this fabric HIMROO means similar to the original for obvious reasons! This monument was built by Emporer Aurangzeb's son in 1679 AD in memory of his mother Rabia ( Aurangzeb's wife) . The architect Ata Ullah modeled it on the Taj Mahal built by Aurangzeb's father Shah Jahan, but comes nowhere near the architectural splendour of the original. Moreover, unlike the Taj this monument is 20 percent marble and 80 percent shale which gives it the look of a cheap imitation. The Bibi-Ka-Maqbara is made mostly of sandstone and has plastered walls (a cost cutting measure), and a marble dome. It has an ornate wall around it with an entry way providing the best view of the monument. The pavement leading up to the monument is flanked by a rows of trees and an oblong resevoir with a row of fountains, dividing the walkway. The octagonal marble screen which encloses Rabia's tomb lies under the dome and is quite ornate. An unmarked grave is said to be of Rabia's nurse and confidant. The screens are cut from single sheets of marble as seen in the picture. Even though this monument does not come anywhere close to the REAL-THING it does have some features worth exploring! Also, it is the only example of Mogul architecture in the Deccan. On a bright day and under sunny skies the Maqbara does look stunning against the backdrop of hills in the distance which also hold a lesser known treasure of Buddhist caves, with some really well preserved figures sculpted in native rock. Visit the sites in Aurangabad before you set off for Ellora and Ajanta. Else, be prepared to endure the anticlimax!